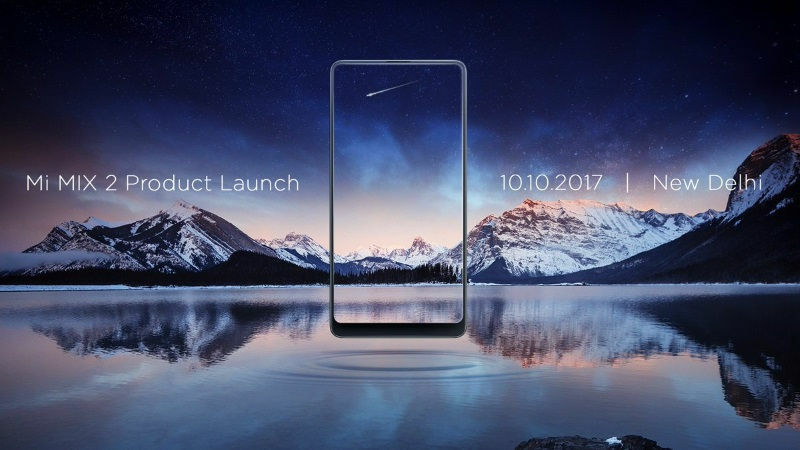 With the launch, Mi MIX 2 will become the latest in a series of bezel-less smartphones in India, joining the likes of Samsung Galaxy S8, Galaxy S8+ and Note 8, LG Q6, and Vivo V7+ and iPhone X. Originally launched in China last month, the Xiaomi Mi Mix 2 sports a four-sided curved ceramic body with aluminium frame. In which, the company has packed a 5.99-inch full-HD (1080×2160 pixels) 18:9 display with a pixel density of 403ppi and a DCI-P3 colour gamut. The smartphone is powered by Qualcomm’s octa-core Snapdragon 835 processor and coupled with 6GB of RAM. On the camera front, Xiaomi Mi Mix 2 has a 12-megapixel Sony IMX386 sensor with 1.25-micron pixels, 4-axis optical image stabilisation, 5-piece lens, an f/2.0 aperture, as well as a facial recognition technology while there is a 5-megapixel front-facing camera with the same facial recognition function. The smartphone comes in three variants and has been priced in china at CNY 3,299 (roughly Rs. 32,300) for its 6GB RAM/ 64GB storage variant, CNY 3,599 (roughly Rs. 35,300) for the 6GB RAM/ 128GB storage variant, and CNY 3,999 (roughly Rs. 39,200) for the 6GB RAM/ 256GB storage variant. The company has also launched the Xiaomi Mi MIX 2 Special Edition that comes with an all-ceramic body, 8GB of RAM, and 128GB of storage. It has been priced at priced at CNY 4,699 (roughly Rs. 46,000). However, it’s unclear if Xiaomi will launch Mi MIX 2 Special Edition in India as well as the announcement contains the name of Mi MIX 2 only.